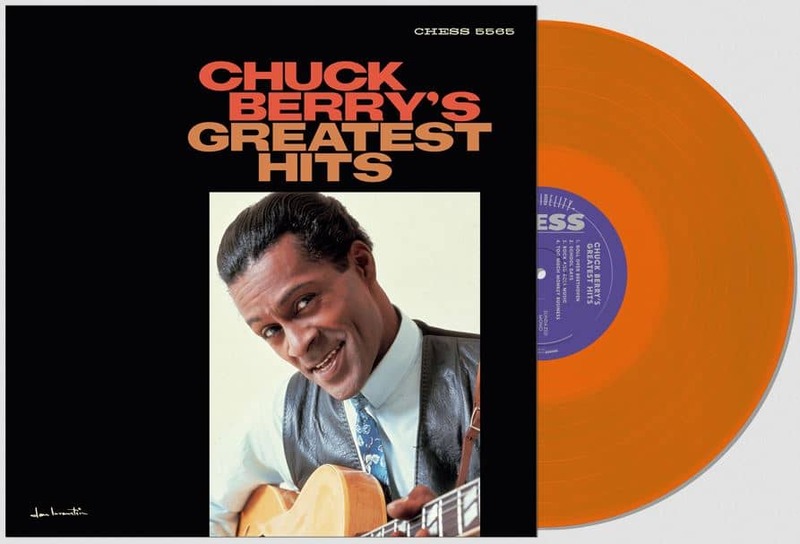 Chuck Berry’s Greatest Hits is the first, original collection of THE pioneer’s astounding work; a hard-hitting wallop that delivers all the pomp and power of Chuck’s singular blend of rock ’n’ roll, R&B, pop and poetry, all fueled by his iconic, ground-breaking guitar sound. First issued in 1964, every single cut here is legendary, and all are absolute cornerstones of rock ’n’ roll. 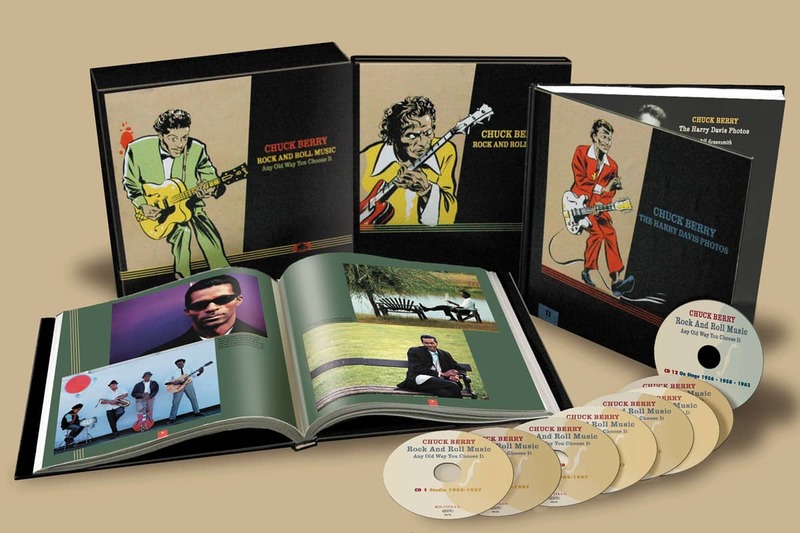 These original Chess mono recordings sound better than ever. Pressed at RTI, on gorgeous colored vinyl! The legacy of Chuck Berry is nearly beyond description–Berry means originality, being the first true rock and rolling, gyrating guitar god, and the earliest rock and roll lyricist whose words are worthy of a poet’s pedigree. 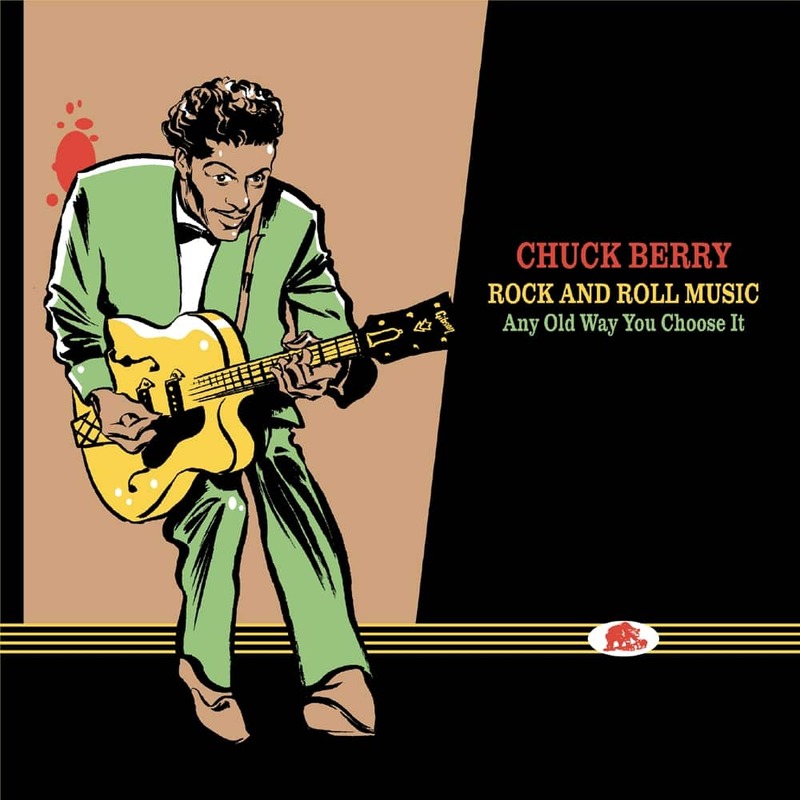 'School Days', 'Roll Over Beethoven', and 'Sweet Little Sixteen' alone are career-making records, but are topped by several more sides contained herein that were big sellers, and are mile-markers in the expansion and development of rock and roll: 'Johnny B. Goode' and 'Brown Eyed Handsome Man'. Berry means business, and his business is being the real father of rock & roll. 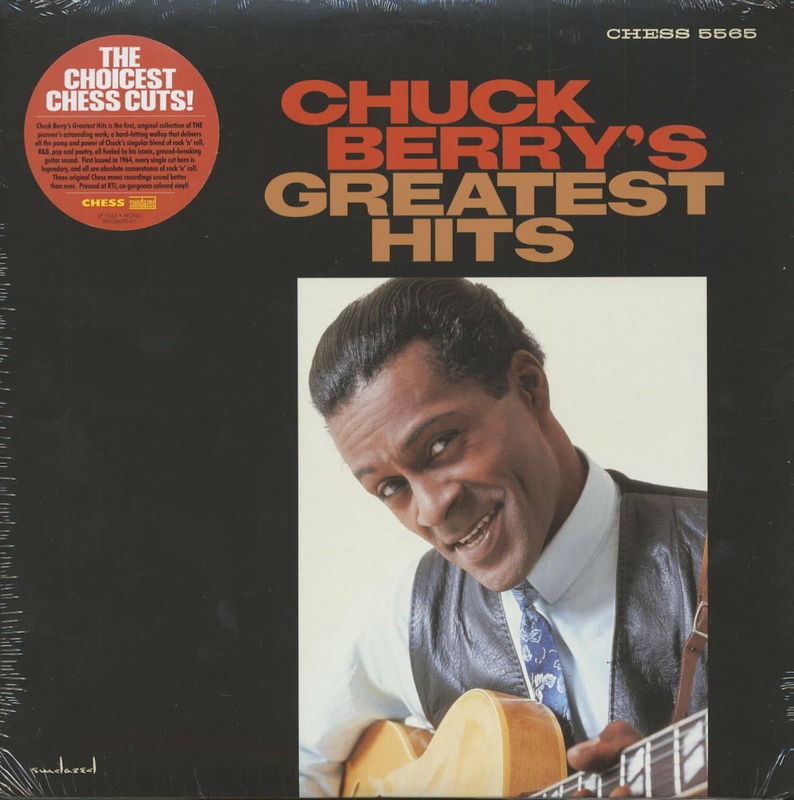 Here are a dozen of his monumental achievements: guitar-driven, rocking, rolling music with his hip, happening wit and genius wordsmithing–Chuck Berry’s Greatest Hits! 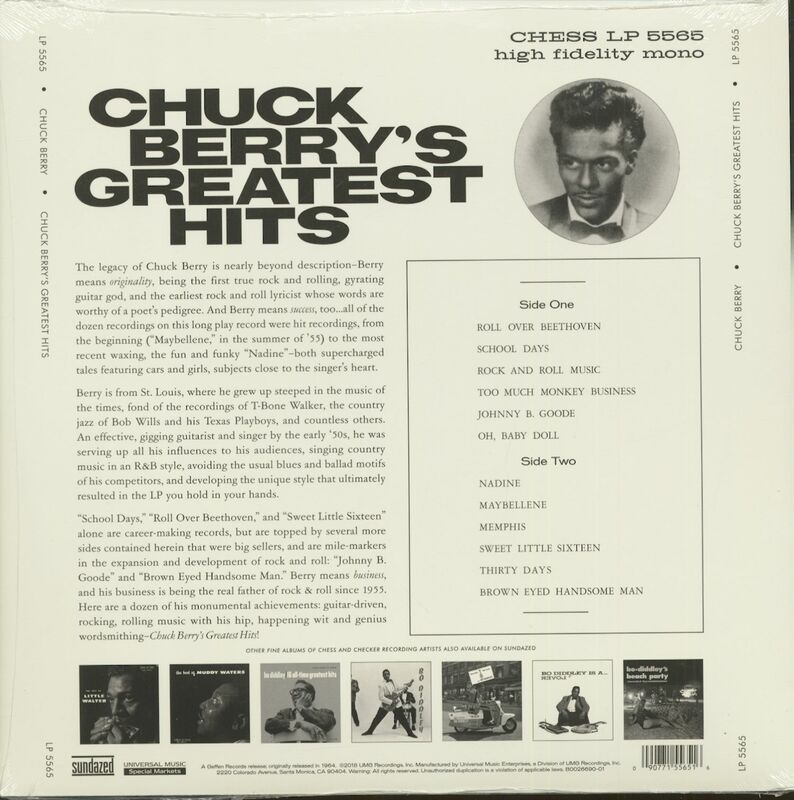 Customer evaluation for "Chuck Berry's Greatest Hits (LP, Mono, Yellow Vinyl, Ltd.)"